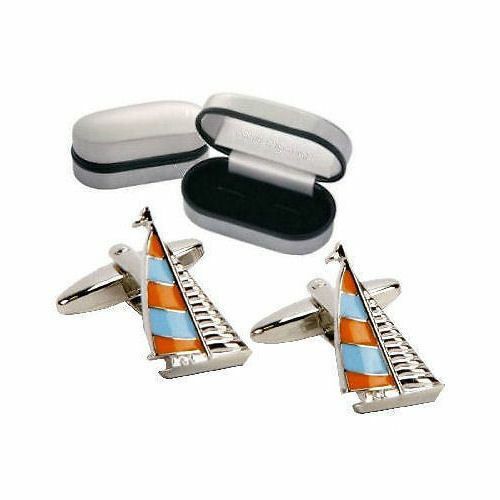 In filled with blue and orange enamel these boat cufflinks are displayed in a Chrome Plated Cufflink Case, which can be personalised on the lid. 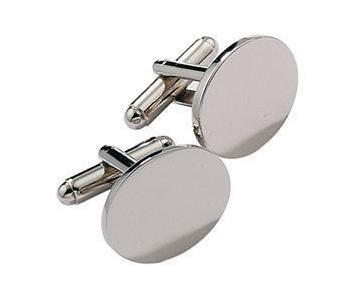 We recommend 4 lines of 25 characters including spaces on the chrome case. If no engraving is required, please leave blank.